It’s the shape that strikes you first, a series of tall alcoves in the basement of historic Leadenhall Market in the City of London. Yet it’s anything but dark. Smooth white walls, matching table linen and spotlighting create a bright, private space well-suited to confidential high-powered lunches. The menu’s Italian, a skillful combination of simple modern Italian and traditional regional recipes, to be precise. Specials change every few days, but the pasta is always homemade. Excellent fish dishes. Diverse wine list, in both price and character. Professional service. I booked this restaurant for a recent business lunch for four people. The menu is excellent, a great showcase of Italian food. The service was great, very prompt and good recommendations. I had the lobster linguine which was delicious, there are a great range of seafood pasta options. My colleague had duck, which looked great. 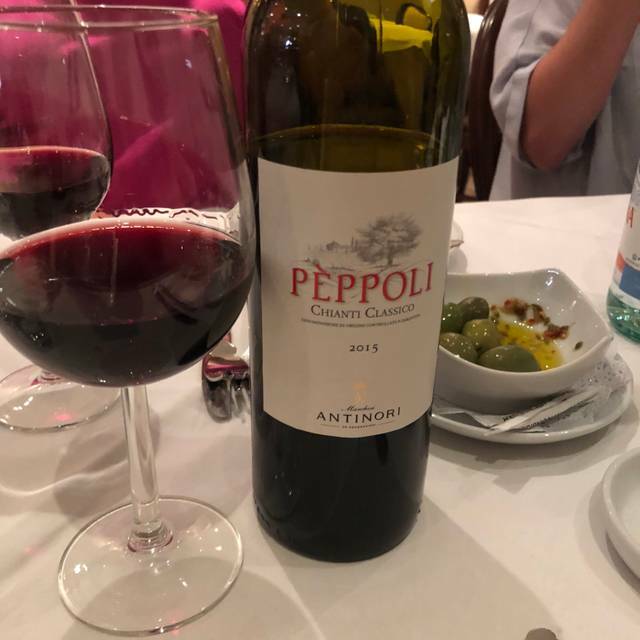 We would definitely recommend this restaurant and the meal ended with lemon cello as any good meal should. The food is just great! The atmosphere is like in Italy. In terms of price around £35 pp (starter, main, desert) excluding wine. The portion are good, for me main + desert were more then enough. I would definitely come back! Had many good meals at Giorgios, and couldn’t fault the food this time. Only slight issue we had is we were seated in an area with a low ceiling and the acoustics were such that it was very loud and we struggled a bit to hear each other over a business lunch. Not the staffs fault but still was difficult to hold a business meeting in that spot. Table was on the right hand seating area as you enter the main restaurant. Otherwise great food as usual. Really genuine and friendly welcome with a 'glint in the eye' but v professional. Recommendations right from the start and seated warmly with immediate attention from the service waiters. Food great. Simple - eg not too mucked about with being fine ingredients. Italian experience at its best. Open all day so not rushed. 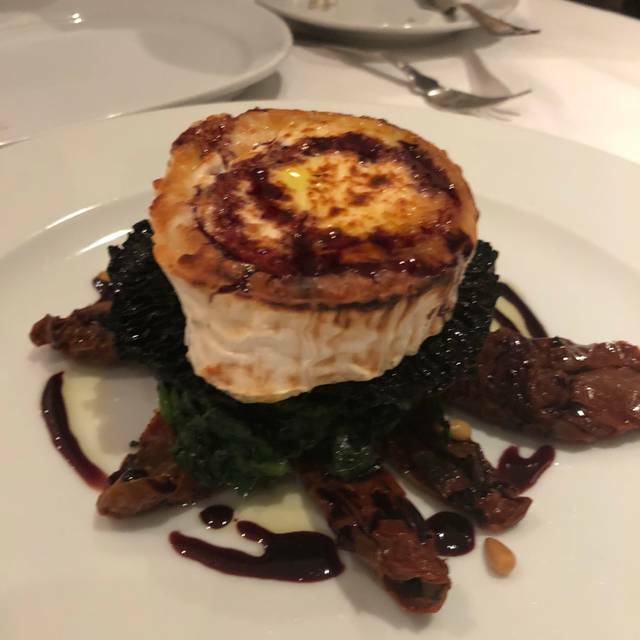 Would thoroughly recommend to anyone wanting very good Italian food with Italian, proud but polite, people and the ambience and 'buzz' of the restaurant is an attraction in itself. Good food, but we were seated near the corridor, so quite noisy and busy. The quality of the food is good, if a little overpriced. 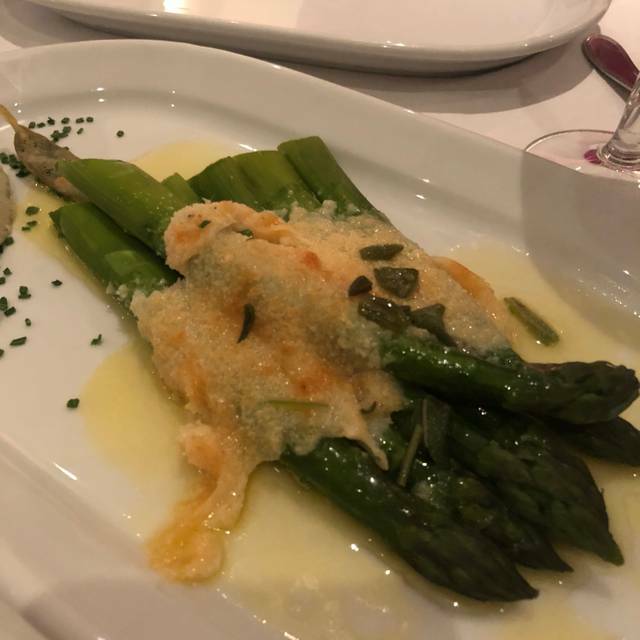 £11 for 5 stems of asparagus with some cheese on is a bit steep. Service was brisk and slightly uncomfortable, as if we were putting the waiting staff out. Overall I'd recommend for business meals, but not for a romantic or intimate dinner. At over £30/head for pasta of the day dish, a Diet Coke and a coffee this was way more pricey than expected. Food was very good though and service very friendly. Traditional Italian with good food and good service. Popular at lunch time but not noisy. Attracts a business crowd. Note the restaurant is entirely underground and accessed by a flight of stairs so not ideal for anyone with mobility issues. This was good fun with typical Italian food, wine and hospitality in a boisterous basement warren of rooms. Always welcoming with excellent service from Giorgio, Joey & the team. Food is consistently good & authentic. first time I have taken family to my favourite 'work' restaurant. As i expected they loved it as always good service, great food and fantastic atmosphere. Lovely afternoon lunch where staff did well to service a busy City of London crowd. Good veggie options. We ordered the pasta of the day, which was tagliatelle with clams. The food was nice, but less olive oil and more clams would have been better. As such, I thought the pasta at GBP 20 a meal was overpriced. Staff was attentive and polite. Went to Giorgios for lunch based on its close location and good online reviews. Staff all very friendly and felt that they really cared about the restaurants success. Food first rate - we had the veal Milanese and the liver & bacon - and great speed of service. Will definitely go their again and have recommended it to work collleagues. Always great food with excellent service. I am never disappointed by Giorgio! Had a wonderful lunch at this city gem. The food was as ever perfect and never fails to disappoint. Thanks to Giorgio and the team. We had an enjoyable business lunch at Giorgios. The food was authentic and the staff friendly. Great wine and food, serving portion is really good - Service is impeccable. This was a Friday business lunch. When we arrived we were greeted in an attentive and friendly manner. The service throughout our rather brief lunch was excellent. We were served a very good glass of white wine (exceptional quality as it was "by the glass"). The food was very good, but not exceptional, but we did go for a basic "no frills" lunch menu. Great food, good service but just a little bit too noisy for an effective business lunch but, the restaurant was full when we attended. A City institution still on great form. Terrific Italian food served with style and charisma. As usual it was delicious and awesome sized portions. Looking forward to my next visit! Exceptional food and first class service - the beef wellington, when on as the special is memorable! Very good food and plenty of it. we ate early at 18:30 and were the third table to check in. One of the reasons we only gave 4 stars was the prawn cocktail starter, it was a bit pedestrian! It was though, wholesome and there was plenty of it. I had the burrata which was superb. We hoped to find tagliatta but it wasn't on the menu. The waiter, when we told him of our hope said, "that's a shame, if you'd asked we would have made it for you!" Between us we had lobster linguine and spaghetti vongole - superb, hot and beautifully cooked. With 2 x 175ml glasses of delicious rosé wine, the bill was just over £100 so a bit dear really but we didn't begrudge it. The rather high cost was another reason for the slight mark down on star rating. Don't be put off though, the service was great and overall it was a good experience. Great venue too, in the heart of Leadenhall Market, pre-prandial drinks in one of the many local bars started the evening well. An intimate yet well decorated venue, quite simply a pleasure to dine at. Service was smooth, friendly and polite at all times and at no point were we kept waiting unnecessarily. 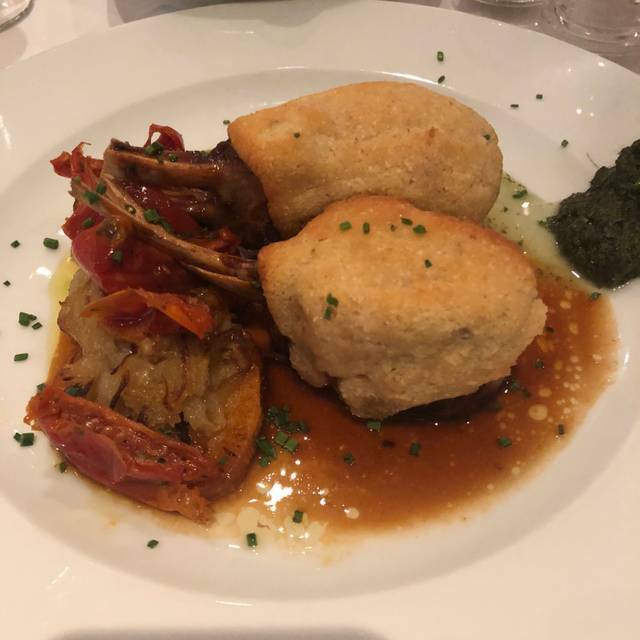 The menu is populated with a fine choice of classic Italian dishes at very affordable prices, considering this is the City of London. The recommendation of a spicy spaghetti as an accompaniment to my Veal escalope was an inspired one by our waiter as it was delicious. This restaurant achieves a standard of service and food quality which the surrounding chains can only dream of. I would have no hesitation in recommending this to friends and family as the number one choice in this area. Service is good , but maybe we did not order the right meal, the meal is so so. I met a friend for an early dinner, we arrived at 5.30pm before they were properly open at 6pm. They still seated us, brought wine, bread and olives before taking our order when they properly opened. The food was great, wine was lovely and service attentive and unobtrusive. I will definitely be coming back. A fabulous lunch in a lovely restaurant. (The fish pie on special was to die for). Excellent service. Not 1 single negative to give.